According to the Minnesota Minutemen website, The Play Ball! Mr. Baseball Award began honoring the best High School Senior baseball athlete in 2010 through a direct partnership with the Minnesota Twins and Minute Men. Seven finalists are nominated and ranked each year by a select list of college coaches and pro scouts. The Mr. Baseball is announced at an annual banquet honoring all the finalists over dinner and guest speeches from Minnesota Twins alums such as Jack Morris, General Manager Terry Ryan, and Ron Coomer. Ten days removed from being drafted by the Minnesota Twins, Heritage Christian Academy pitcher Seth Halvorsen looked the part of a major leaguer in the Class 1A state championship at Target Field on June 16. 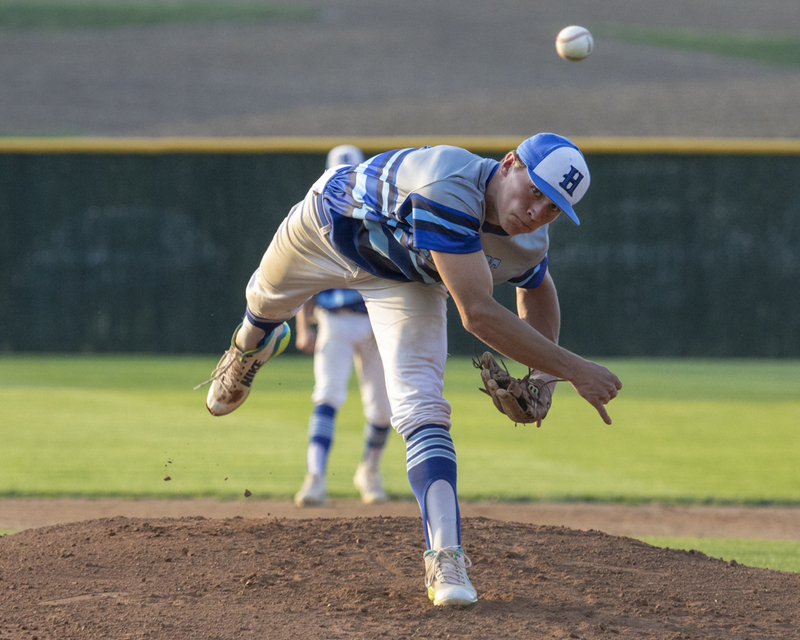 Halvorsen became the first high schooler to hit two home runs in the stadium and struck out 16 to lead the Eagles to their first state title, punctuating the end to an illustrious senior campaign that earned him the 2018 Play Ball! Minnesota Mr. Baseball award. A two-way talent, Halvorsen posted state-best marks for strikeouts (117), runs (37) and stolen bases (29) in 26 games played. He finished the year with a 0.94 ERA and a 7-1 record on the mound. Halvorsen returned to Target Field June 17 to attend the finalist banquet for the Mr. Baseball and Ms. Softball awards. The Mr. Baseball award is given by the Minnesota Twins and Minnesota Minute Men to the state's top senior baseball player. College coaches and scouts selected the winner from a pool of seven finalists. The other finalists for Mr. Baseball were: Jake Dykhoff (Wadena-Deer Creek), Otto Grimm (Bemidji), Nick Juaire (Lakeville North), Aidan Maldonado (Rosemount), Nathaniel Peterson (Lakeville North), Zack Raabe (Forest Lake) and Tommy Springer(Eastview). Halvorsen, drafted in the 30th round of the Major League Baseball draft, was selected largely for his prowess on the mound. He has opted to play the next three seasons at Missouri, where he hopes to develop as a hitter. Check out where former Mr. Baseball award winners stack up in the State Record Books.